Discover something special in Kerr Village! Centrally located in Oakville, Kerr Village is filled with trendy shops, professional services, and amazing restaurants. 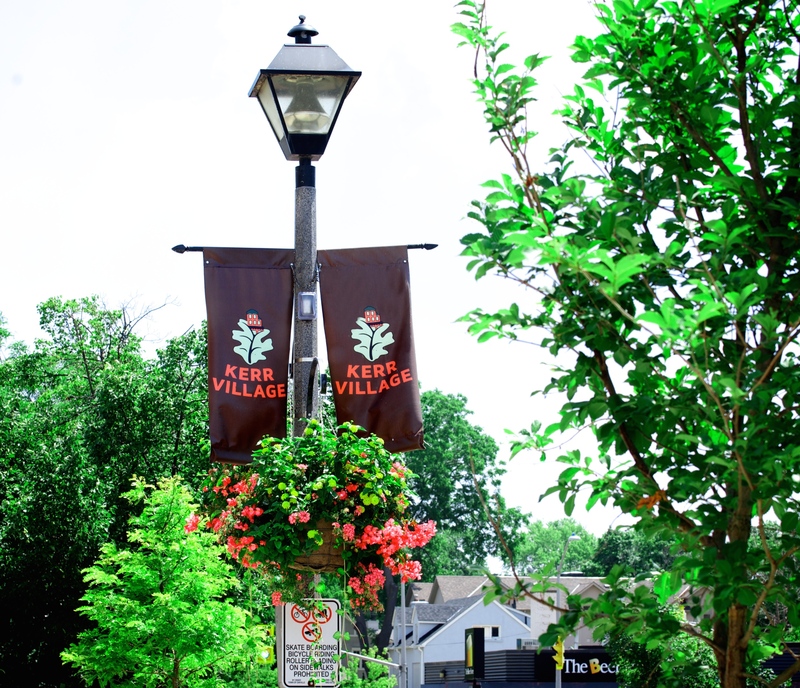 Whether you visit to shop, dine, or explore, Kerr Village has something for everyone! If you are looking for something unique, make Kerr Village your first stop. You'll find more than luxurious linens at The Princess and The Pea, Beachy Keen has all your swimwear needs covered, and when you are looking to stand out from the crowd, visit Farah Boutique for an outfit as unique as you are. The beautiful gardens at Westwood Park are perfect for unwinding after a shopping spree! There are also nature trails along Sixteen Mile Creek where the scenic view and quiet calm of the water can do wonders for relaxation. Other parks in the area include Hog Back Park, Trafalgar Park, and Navy Flats Park. Additionally, The Lion's Outdoor Swimming Pool offers a refreshing break from the heat during the summer months. Sit back and enjoy a cup of coffee at Kerr Street Café or pick your own beans at Cloud 9 Coffee Roastery. When you need some time to rejuvenate head to the spa or revitalize your look at one of the many professional beauty salons or barbers along Kerr Street. If you are visiting Kerr Village for dinner, there is a wide selection of popular restaurants from casual to gourmet dining. Try Pasquale's Trattoria for fine Italian cuisine, Maro's Bistro for the best Middle-Eastern cuisine, or The Gingerman Social Eatery for when you are craving quality comfort food! Getting here is easy with many transit stops along Kerr Street and when you travel by car, rest easy knowing parking along Kerr Street is free for up to 2 hours. So, feel free to spend the day here, you never know what you might find! Why visit when you can live here? Our townhouse on Brant Street is in the Southeast end of Kerr Village with convenient transit stops within walking distance.